On this 4 disc set you will hear directly from the man who some have called our greatest living national treasure. You will hear Civil War stories and more, as Ed discusses his serious wounding in the Pacific in WWII, his work on the Battle of Brice's Crossroads, and his personal discussions with LBJ in the planning and acquisition of the LBJ Ranch for the National Park Service. Please click "Register Now" to purchase the DVD set and include your address. The cost of the DVD is $29.95 + $1.80 tax + $7.15 shipping = $38.90 We will ship the DVD set to the address specified. 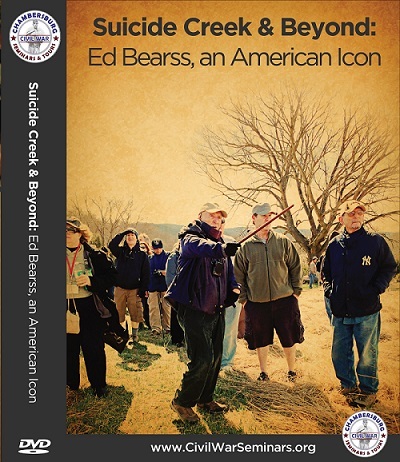 A portion of the proceeds will support the Ed Bearss Award.